So as I wrote last time, I’ve been lacking for a place to sit and work on my jewellery recently. I’ve found a small amount of space to do a few small items, mostly repairs of items that broke previously. On the left is a previous painted effort (acrylic nail polish). 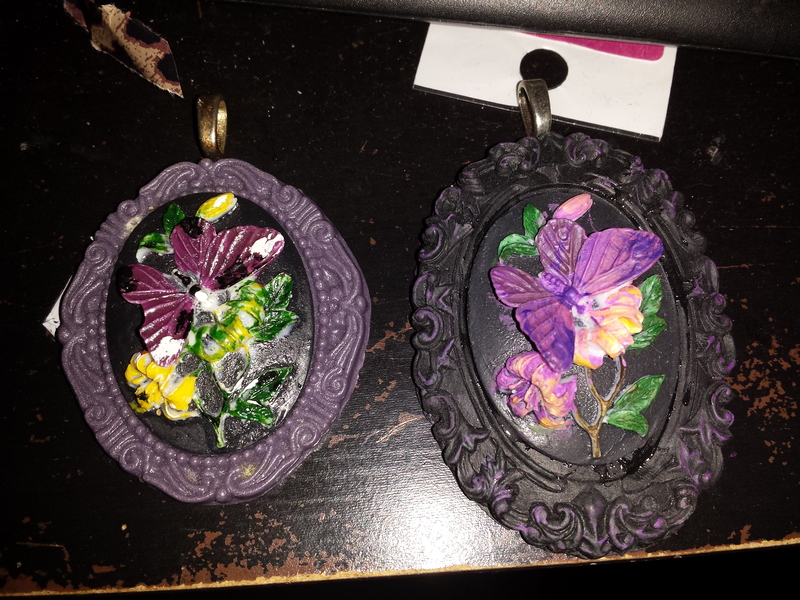 On the right is the newest (acrylic paint). 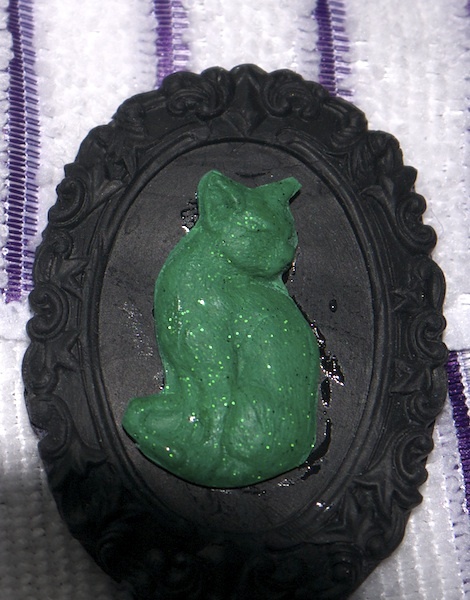 The green cat never did look quite right due to the clay curving (one of my first experiments with clay) and broke, but I was glad to be able to reuse the frame which was fine. The other items I’m planning/working on are mostly for gifts so not able to show anything of them really atm. When I have cleared a better place in my rather small flat to work more often I might get on with more jewellery. Until then most of my art/craft is done at Artyfolks and recently has been clay/ceramics.I might take some photos when chance arises of some of the work I’ve done there, some I like, others are merely mediocre at best imo.